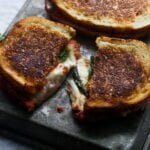 I was saving this post for after the New Year when healthy eating becomes all the rage again, but as I looked at the post I had planned for today (Supreme Nacho Burgers) I realized I’ve primarily been posting indulgent comfort meals for weeks on end. And while I have been eating Cheesy Chicken Pot Pie and Homemade Pizza Rolls and loving it, it’s not ALL I’ve been eating. 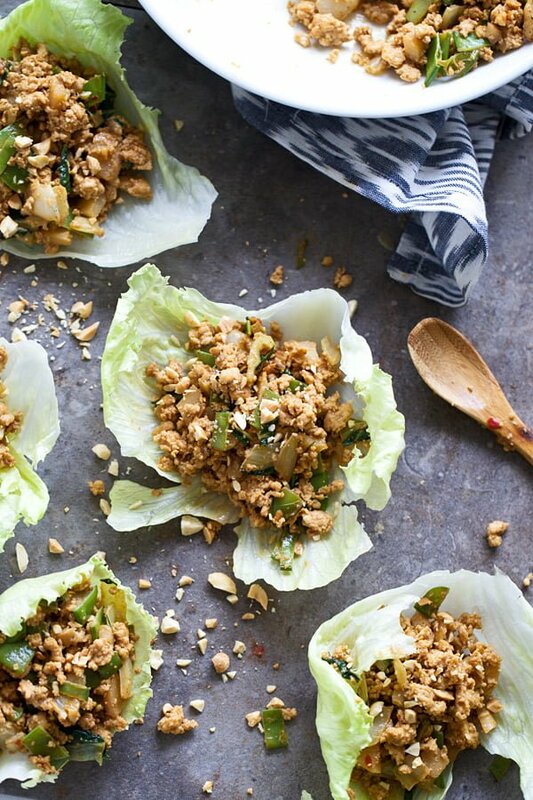 In between those calorie-laden meals I drink lots of smoothies, eat tons of veggies and make healthy meals like these Peanut Chicken & Veggie Lettuce Wraps. Like most of America I fell in love with the lettuce wrap when PF Changs chains were basically taking over the country. I remember when one opened up in KC and everyone from five to 45 minutes away flocked to the restaurant like it was the newest Cheesecake Factory (which happened to be right across the street). It wasn’t uncommon to have a two-hour wait on a random Wednesday night and back then, the food was worth the wait. Kevin and I went back a couple months ago after a four-year hiatus and unfortunately, it just didn’t have the same sparkle to it. The food was good, not great and for the same $70 price tag, I can go to several of my other favorite restaurants who have better, more creative food and even better ambiance. Also, I can go to several local Chinese restaurants whose menus are half the price and have even better, more authentic Chinese food. 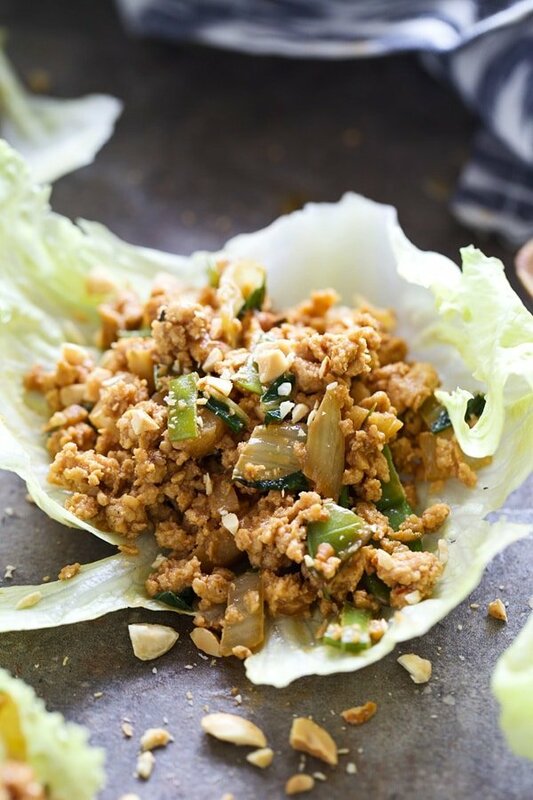 I have no clue how PF Changs make their lettuce wraps, mine are full of ground chicken, hearty bok choy, crisp snow peas and crunchy water chestnuts. 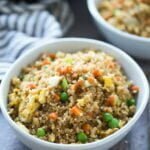 The chicken to veggie ratio here is almost equal, which I love not only for the added nutritional benefits but for the flavorful and incredible texture it lends. You could swap out whatever veggies suit your taste, but I happen to think this particular trifecta is one for the books. IF you had to make a change, napa cabbage, baby corn, or shredded carrots could also be nice. 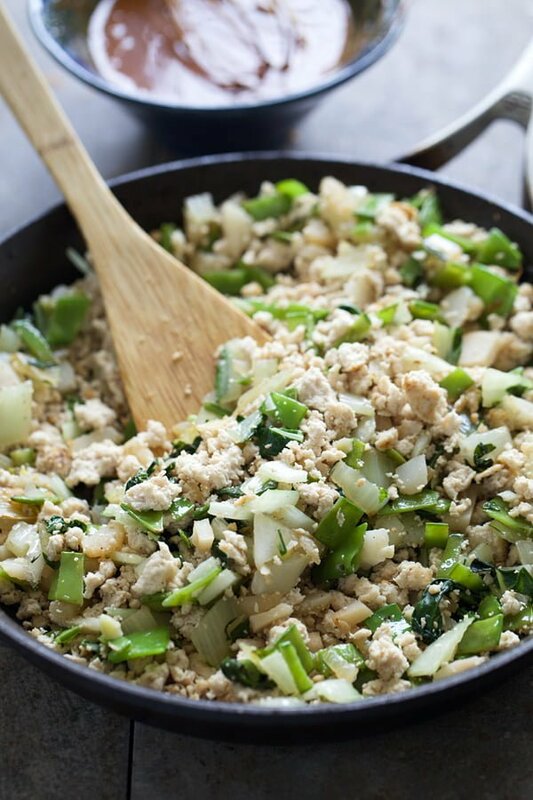 The ground chicken and veggies sautéed in a bit of coconut oil (with garlic!) 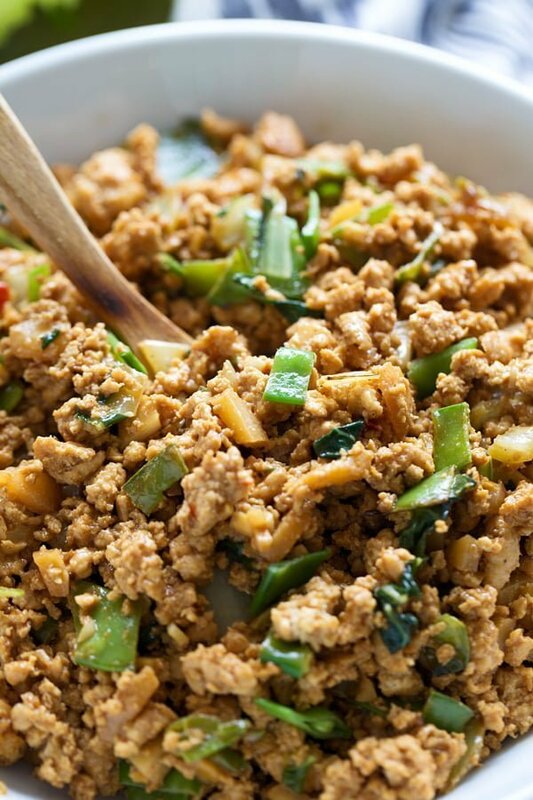 is a great base, but the flavor really comes to play in the super easy peanut sauce everything is doused in. 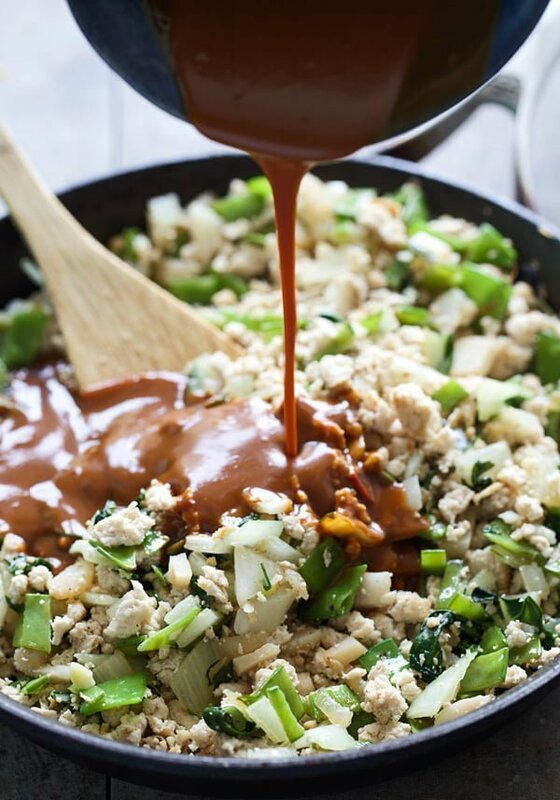 If there’s a sauce I’m addicted to, it’s peanut sauce. I will literally drink it straight from the bowl or jar or whatever vessel it’s served in, but on the blog, I’ve slathered it on everything from thai pizzas to broccoli salad to quinoa bowls. 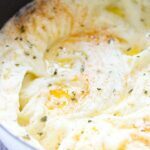 Initially (years ago) I spent days and days trying to figure out the perfect recipe, and I still feel like I came up short. The flavor always seems off to me, and the color wasn’t the gorgeous caramel shade I’d seen in so many restaurants. The sauce was always too sweet or too soy sauce heavy, and then finally something clicked – water! It sounds silly, but water is honestly the one ingredient that took my sauce to the next level. 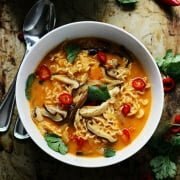 For me, the flavors in the peanut sauce are so strong and the peanut butter makes it so thick that it needs something to soften it and loosen up at the same time, and water it is. So, in this super easy peanut sauce there’s peanut butter, tamari (you can also use soy sauce), honey, thai chili sauce and water. That’s it. 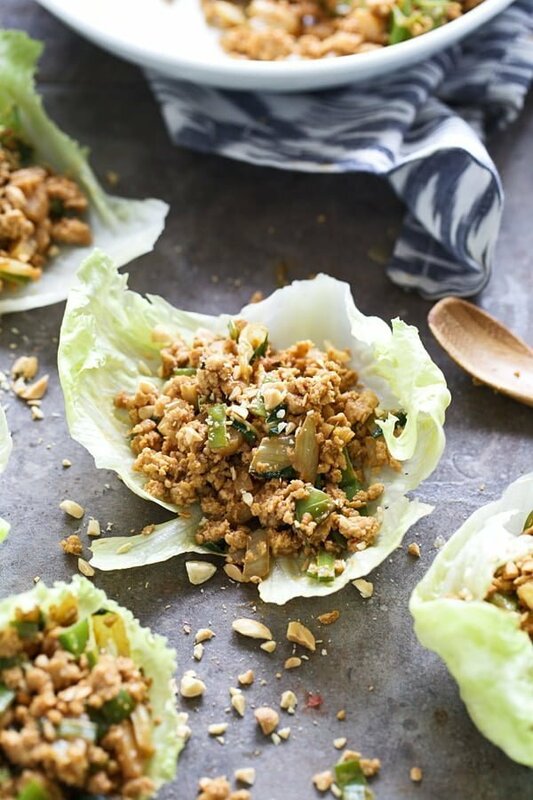 The ingredients are whisked together and after the chicken and veggies cook, it’s poured in, tossed and ready to be spooned into lettuce wraps. We also had the filling spooned over brown rice, which was equally delicious. 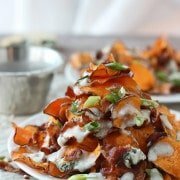 Whichever way you serve them, make sure to sprinkle a generous amount of chopped, roasted peanut on for some crunch, then dig in. Heat a large non-stick pan to a medium-high heat. Once hot, add 1 teaspoon coconut oil and 1 teaspoon sesame oil. Once the oil shimmers, add bok choy and snow peas. Stir-fry (use a wooden spoon to continuously toss and stir) the veggies for 1-2 minutes until bright and slightly softened. Add water chestnuts and garlic, stir-fry another minute. Transfer to a plate and wipe pan clean. 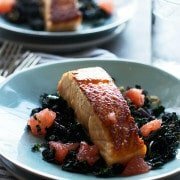 Heat the pan over a medium-high heat, and add remaining coconut oil and sesame oil. Once the oil is shimmering, add chicken. Use a wooden spatula to break up the chicken into as small pieces as you can get them. While the chicken cooks, whisk tamari, honey, thai chili sauce, vinegar, peanut butter and water in a small bowl. Once all the chicken is cooked, reduce the heat to low and add the veggies back in along with the sauce. Toss to coat. 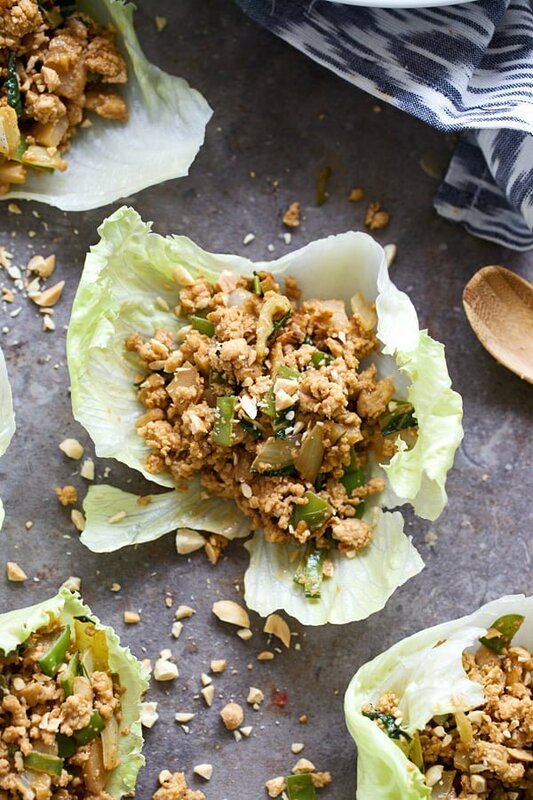 Spoon into lettuce wraps and garnish with chopped peanuts.